Attendees sipped on bourbon cocktails as Big Green Egg whipped up Knob Creek-infused dishes like smoked duck breast. 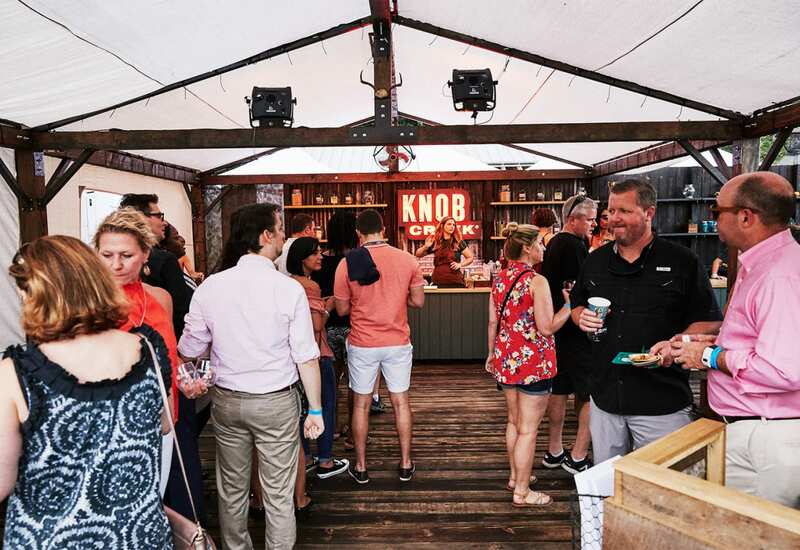 It doesn’t get much better than bourbon and smoked meats, and that’s exactly what Knob Creek brought to culinary festivals across the country earlier this summer in collaboration with ongoing brand partner Big Green Egg, maker of the popular kamado-style grill. Together, the brands brought their Whiskey and Eggs experience to passionate foodies, delivering premium food and drink pairings and a shot of bourbon education as part of Knob Creek’s This Creek Runs Full campaign. The experience made its way to top culinary festivals, including Big Apple BBQ in New York City, LA Food Bowl and Taste of Randolph in Chicago, where the brand leveraged each established event to help scale its activation. Attendees sipped on bourbon cocktails as Big Green Egg whipped up Knob Creek-infused dishes like smoked duck breast and grilled seared ahi tuna. They could also view an age display that illustrated how Knob Creek bourbon gets its flavor over time inside American oak barrels, flip through a custom publication outlining the brand’s personality and its production process and learn about the essential ingredients that distinguish Knob Creek’s rye product from its bourbon. 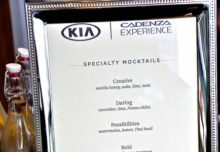 Influencers were also part of each activation, helping enhance the experience’s level of “creativity and unexpectedness.” Tastemakers included Daniel Northcutt, renowned owner of gourmet hot dog restaurant, Frank, and Austin-based cocktail champion Chris Bostick. Together, they served up food and drink pairings that highlighted two of Knob Creek’s main ingredients—smoked oak and patience (how poetic). “From a category perspective, spirits is experiential in a lot of ways,” says Lucas Erickson, senior director-small batch bourbon at Beam Suntory. “It comes to life in a lot of channels and people identify with the brands that they know and love. We think Knob Creek has a fantastic position in whiskey, in bourbon. And we wanted to take the opportunity to immerse [attendees] in an environment that’s built off of their passion areas, but does an exceptional job of explaining and bringing to life what Knob Creek is about.” Agency: Preacher, Austin.